Look what’s here! The all time legendary Audi R8. This was Audi’s footstep taken into the supercar arena taking on contenders such as the Porsche 911 and Aston Martin V8 Vantage. This very first Audi V8 mid-engined 4.2L supercar bellows 420hp and 430Nm of torque. 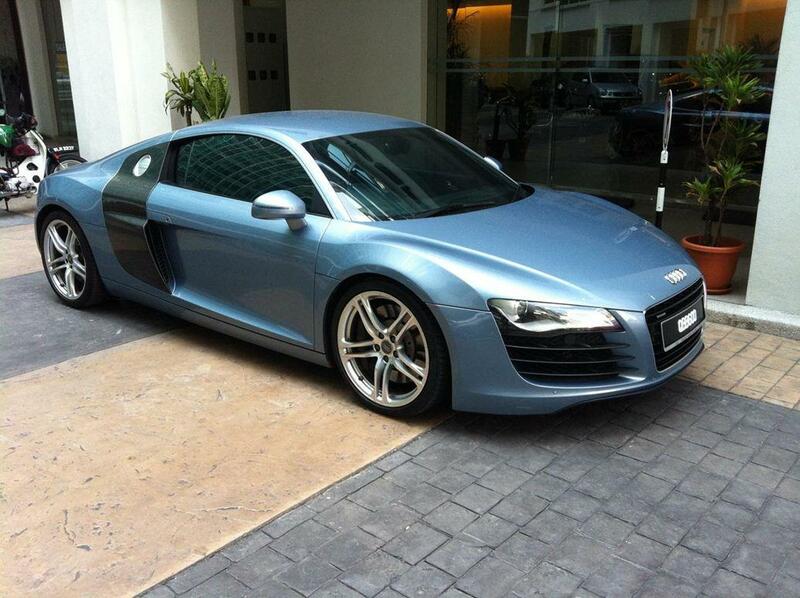 Therefore, the R8 can propel from a standstill to 100km/h in 4.6 seconds with a top speed of 300km/h. Utilizing an aluminium monocoque, this model shares the same transmission, suspension and platform as a Lamborghini Gallardo. The R8 also carries the Audi trademark quattro permanent all-wheel drive. Without needing to say much, we can tell why this car handles so well! The normally aspirated engine is similar to the RS4 except that the R8’s engine is mounted amidst a beautiful carbonfibre cradle and exudes a seemingly impeccable exterior look. This car also resembles IRONMAN right from the beginning of the series. So if you wanna feel like Tony Stark, take a pick at this exhilarating ride… besides, it has previously been heavily considered by automotibile critics as one of the best supercars ever made!!! Contact us now to rent this car immediately! Alternatively, check out our booking page to commit to your car!